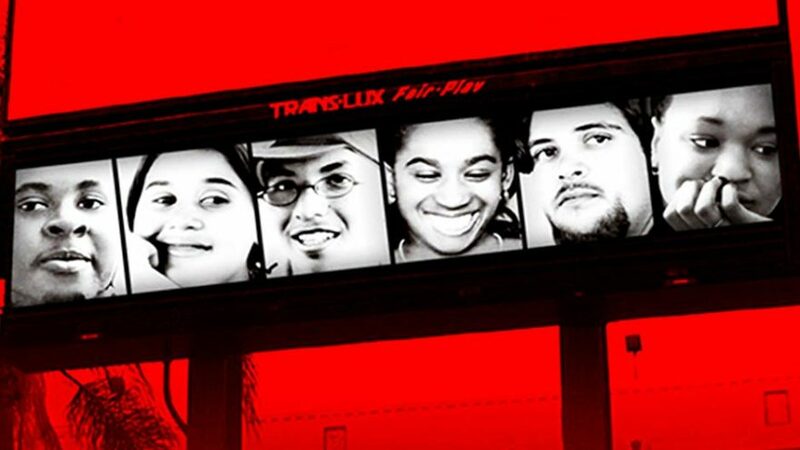 Great plays like Our Town can be powerful conversation starters. We invite you to share your thoughts about this production on our Facebook page (you’ve Liked us, right?) and other online channels, talk about it with your friends and neighbors, reach out to our new director of outreach and engagement, Julie Coppens (juliec@ptalaska.org), or join us for one of the free events below. As George says to Emily, mid-revelation over a couple of strawberry sodas in Morgan’s drugstore: “So I guess this is an important talk we’ve been having.” Thanks for taking part. Theo Houck and the cast of PETER AND THE STARCATCHER (Fall 2016) take audience questions after a performance. These informal Q&A’s, immediately following certain performances and lasting about twenty minutes, feature guest panelists with company artists and staff. Patrons can drop in for any and all talkbacks, regardless of which performance they attend. Sunday, Oct. 7: Loss and Renewal in Our Town. This talkback following the 4 p.m. Pay-What-You-Can performance will focus on the play’s third act, in which Thornton Wilder approaches death, the afterlife, and the universal human experience of loss as no other dramatist had before. Join palliative-care professionals and others who help the Juneau community through our real-life end-of-life dramas, along with some cast members who are living with grief themselves, and explore how plays like Our Town can carry us through. Friday, Oct. 19:What Our Town can Teach. Thornton Wilder always considered himself a teacher more than a writer, and his Our Town characters have a lot to say about teachers, school, and learning. 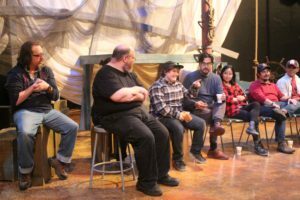 At this talkback for guest educators of the Juneau Arts & Humanities Council’s “Artful Teaching” program, director Art Rotch and Our Town company members will discuss the play’s enduring educational value, and how to make the classics relevant for today’s students. Wednesday, Oct. 24: Whose Town? How do we define “our town,” historically and in the present moment? Who gets to tell that story? In Thornton Wilder’s time, not everyone had a say: there’s not much diversity in the play’s original cast of characters, but we hope our all-Alaskan production will help audiences see Our Town from a fresh perspective–one that’s inclusive and compelling. Join us for Juneau Arts Night (half-price admission for all, thanks to our partnership with the Juneau Arts & Humanities Council), as company members and a diverse panel of community leaders unpack the play’s social themes. Held the second Friday of most show runs in our Phoenix (black box) space. 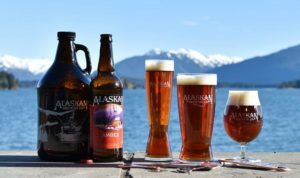 Enjoy a selection of fresh beers before the evening performance and at intermission, courtesy of Alaskan Brewing Company, while engaging in some dramatic conversation with friends, neighbors, and Perseverance staff. Join us at the Gold Town Nickelodeon for this award-winning documentary film from 2002, about a remarkable production of the play at Dominguez High School in Compton, California. If you still think Our Town is about a bunch of white people in an America long past, these teen-agers will change your mind. Admission is Pay-What-You-Can, with proceeds supporting Perseverance’s education and outreach programs. You’ve met the good folks of Grover’s Corners, New Hampshire; time to face the evil aliens of Pin Cushion, California. Our fall Young Company production—a quirky, somewhat creepy but heartwarming take on Our Town—performs one weekend only on the Perseverance main stage, in repertory with… that other play. Don’t miss it! 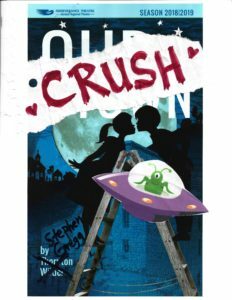 In addition, visiting Crush playwright Stephen Gregg will teach a series of writing workshops for youth and adults at Perseverance Theatre (Oct. 16), Zach Gordon Youth Center (Oct. 19), and the Douglas Library (Oct. 20); event details on our Facebook page.